The satellite will carry two geostationary “Phase 4” amateur transponders. 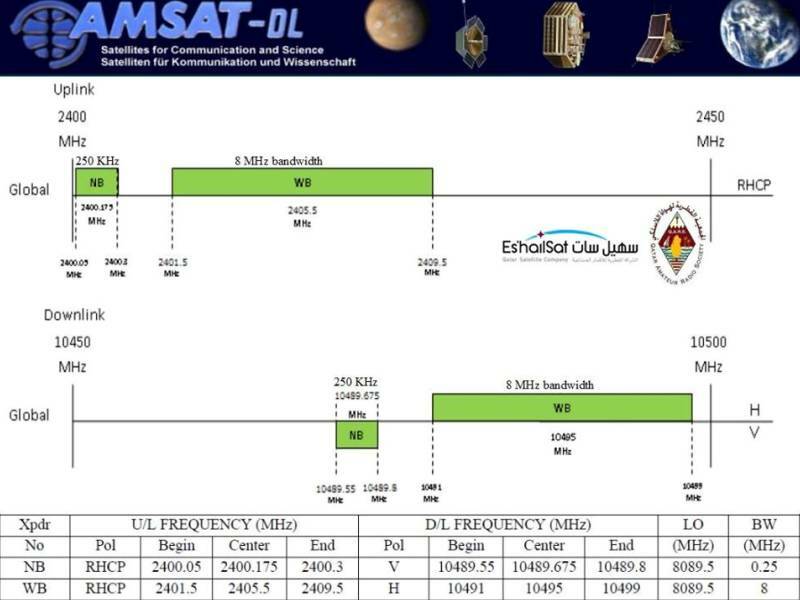 As a result of a concept proposed by the Qatar Amateur Radio Society, Es’ Hailsat, the Qatar Satellite Company, have announced that their new, geostationary, Es’HailSat-2 communcations spacecraft will provide transponders for use by radio amateurs. Precise uplink and downlink frequencies remain to be finalized but the uplinks will be in the 2.40-2.45GHz and the downlinks in the 10.450-10.500GHz amateur satellite service allocations. Both transponders will have broad beam antennas to provide full coverage over about 1/3rd of the earth’s surface. Precise operational plans will be finalised over the coming months but it is anticipated that only quite simple ground equipment will be required to use this satellite. A team of amateurs, led by Peter Guelzow DB2OS (President of AMSAT-DL) are providing technical support to this ground breaking project which is expected to provide an exciting new phase of activity for radio amateurs for the 21st century. The spacecraft is expected to be ready for launch by the end of 2016. 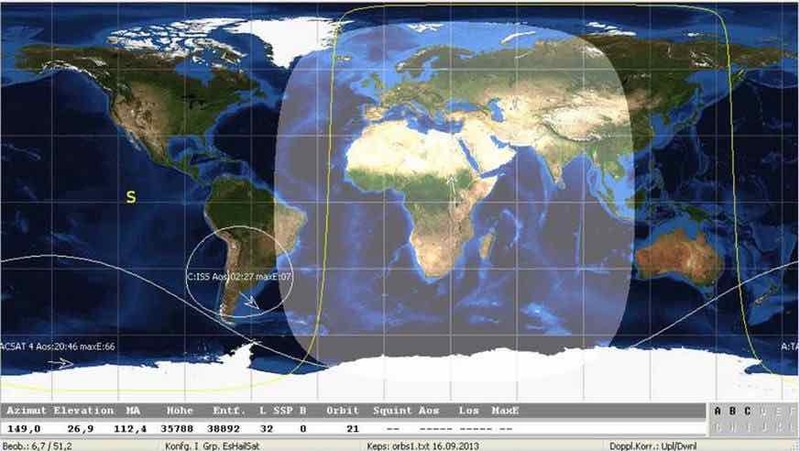 Es’HailSat-2 will provide a 250kHz linear transponder intended for conventional analogue operations in addition to another transponder which will have an 8MHz bandwidth. The latter transponder is intended for experimental digital modulation schemes and DVB amateur television. Es’Hailsat of Qatar has ordered a Falcon 9 launch for its Es’Hailsat 2 communications satellite. The launch order was signed on 28 December 2014 and the launch is set to take place in late 2016. The latest launch information is Q1/2017.